It apparently all began when Twitter user @Josejusejo realized that “Party Rock Anthem” synced up perfectly with the theme song from anime Evangelion. 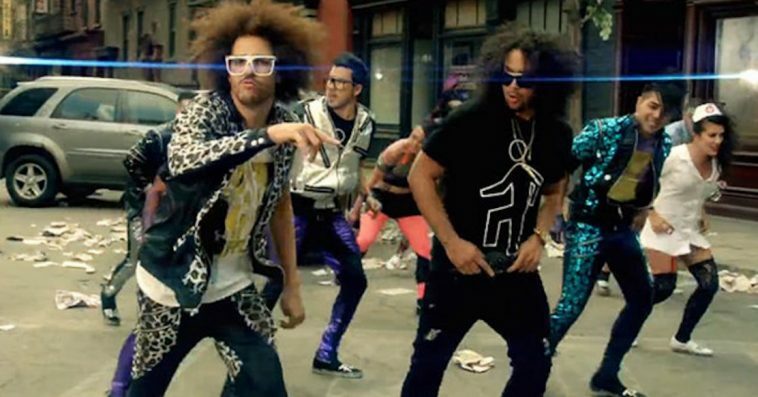 Margaritaville and Party Rock Anthem have the same BPM. Oh, and how about Neil Diamond’s “Sweet Caroline“? The Cantina Band song from Star Wars. This is truly what the internet was made for. Well, this and gifs of kittens being ridiculously cute.